Home Android How to open iOS Apps and Games on Android Phone or Tablet? Which one is the best smartphone operating system? iOS or Android? I’m not going to wrapped in the argument, because I like Android but not hate iOS also ;). I always wish to use an expensive iOS-based smartphone like iPhone X. But money is the real enemy for my intention and now using Android OS based Smartphone. However, if you compare several features between Android and iOS you will find both are best on their side. Even if you wish, you can use iOS Apps or play iOS games on your Android phone. Yes, using an iOS Emulator for Android you can do that. And in this post, I’m going to show you how to install and open iOS Apps or Games on Android phone and tablet. Let’s check below for details. How to open iOS Apps and Games on Android? It was an amazing experience for me when I open iOS apps on my Android for the first time. I can use almost all iOS apps and play some iOS based games. However, if you want you can also do this with the help of an iOS Android emulator. There are two most popular iOS Emulator available for Android users and they are iEMU APK and Cider APK. You can download iEMU APK or Cider APK from a 3rd party website and install it on your device. Personally, I would like to recommend iEMU APK as this emulator support a large number of iOS Apps and games. For opening iOS apps or games on Android, at first, you need to download an iOS emulator and install it on your device. You will get details about iOS Android emulator below with download links. However, after downloading the emulator, follow below steps to open iOS Apps on Android. Go to your device settings>>security and then Turn on the “Unknown Sources” for installing APK file from the device administration area. Hurrah! Now you can use the iOS Apps or play games on your Android device. 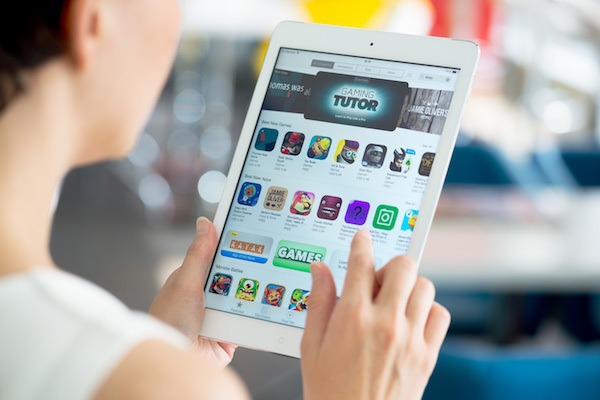 Currently, there are two most popular and widely used iOS Emulator available in the app market for Android phones and tablets. The iEMU is one of the top downloaded and widely used iOS emulator. This is an advanced open-source application that you can use for free to download, install and use iOS apps or games on Android. There are no annoying ads or registration required to download or install the emulator. The Cider APK is the second best choice for iOS Emulator. This is almost similar to the iEMU emulator but you can install less iOS games and apps using the emulator. Because the emulator supports less iOS application than the iEMU APK. However, most of the expert recommend this emulator if you have a good configuration smartphone with enough space. You can use iPhone apps or play games smoothly with a single lag through the emulator. This is also free and not available in the Google Play Store. You will need to download the emulator APK file from a 3rd party website or source. And here is a secure link to Download Cider APK file here. An iOS Emulator can’t convert your Android smartphone or tablet into an iPhone or iPad. But you can install and use some popular iOS apps and games, and even you can also change your device interface. As none of these free emulators required root to install and use, so you can take this chance to install and use some iOS apps or play iOS games on your Android phone. Disclaimer: These iOS emulator apps are free, so don’t download from any source who are asking money or completing any survey while downloading. Also, we test these emulators only a few Android device, so these might not work properly on your device. Or you face difficulties on some features. Shall I Upgrade to iOS 7 or Shall I Stick to iOS 6?